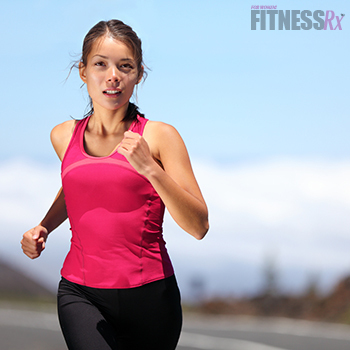 Glutamine is a staple supplement for many active women. But are you training hard enough to actually benefit from supplementing with it? And are you taking the right amounts of this supplement at the right time? Let’s clear out the hype by looking at the latest science and get the facts on one of the top supplements on the market. Amino acids are the building blocks of protein, and as you already know, protein helps to build and repair muscle. Glutamine is a “non essential” amino acid. Non-essential does not mean that it is not essential. Non-essential means that the human body makes it naturally so we don’t have to consume it in our diet— that is unless we place our body under extreme stress where the body may require more glutamine than it can produce. 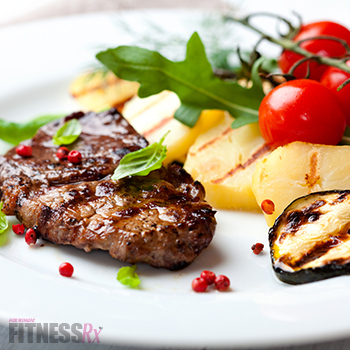 Glutamine is found in many foods such as chicken, steak, cheese, black beans, skim and soy milk. A few examples of glutamine content in food are a 5 oz steak that provides 6.2 grams of glutamine and a ½ cup of skim milk that provides 1.4 grams of glutamine. Glutamine is the most abundant amino acid in the body and is primarily found in the skeletal muscle, with the remainder residing in the lungs, liver and stomach. It plays various roles in the body including regulating immune function, maintaining nitrogen balance, brain function and digestion. In most instances, you would not require supplementation to meet your body’s need for this nutrient, but during times of stress glutamine levels can become low. Overtraining, illness and stress are frequently associated with reduced availability of glutamine and decreased immune system function. Until recently, research on whether glutamine supplements can help healthy athletes during times of intense training was weak and inconclusive. However, recent studies show that glutamine can help you retain muscle mass and can enhance recovery if you’re exercising very intensely. Having an increased glutamine availability may contribute to decreased inflammation and health benefits associated with optimal training. It certainly isn’t uncommon for athletes that train for endurance events to catch a cold after their event. The effects of oral glutamine supplementation on marathon and ultra-marathon runners were tested in a double-blind study. In the seven days following a marathon, 51 percent of the runners given a placebo developed an infection compared with only 19 percent of those given 10 grams of glutamine immediately after completing the marathon. Glutamine supplementation may enhance immunocompetence after strenuous exercise. Another recently published study by Cruzat, et al, concludes that supplementing with free L-glutamine may reduce inflammation after periods of prolonged exercise. This further exemplifies the above point that you must be training very hard to actually benefit from this supplement. Glutamine is your body’s main source of energy, so if you’re training intensely, you will cause excessive muscle damage and your immune system will need to work harder. In this case, current studies are indicating that glutamine could help stimulate faster muscle repair and recovery. The optimal time for supplementation with glutamine is post-workout as glutamine stores are the lowest after an intense training session. Glutamine (usually in the form L-Glutamine) is available in powder, tablet, liquid or in capsules. I personally prefer the powder to the pills as it’s tasteless, uptakes quickly, and can be mixed with your post-workout shake. Upon reviewing the current literature, the consensus at this time is to mix 3-6 grams of glutamine with water and a quality whey protein, and consume 30 to 60 minutes post-workout. If you have a very intense training day, you may want to add up to 14 grams a day, split into two to three doses. 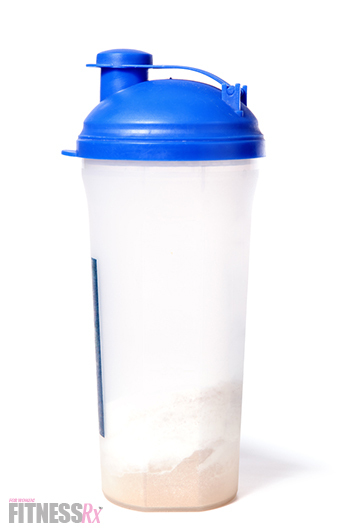 On non-training days, add 3 to 6 grams to your last protein shake of the day. As with any supplement, asses your tolerance to ensure your stomach can handle the dose.Acute intakes of glutamine of approximately 20-30 grams seem to be without ill effect in healthy adult humans and no harm was reported in one study in which athletes consumed 28 grams glutamine every day for 14 days. According to the University of Maryland, glutamine appears to be safe in doses up to 14 grams a day. They also note that heating glutamine destroys its integrity and that people with kidney or liver disease, diabetes or those undergoing cancer therapy should not take it. To get the most out of any supplement consistency is crucial. Taking it during the week and forgetting to take it on the weekends is not going to give you the results you desire. Glutamine supplementation is considered safe in adults. However, I would always recommend you review your dietary supplements with your doctor, as supplements can and do interact with medication. It must be noted that, with any dietary supplement, it is still a supplement and should not take the place of a well-balanced diet or a good night’s sleep. Glutamine should not replace sufficient post-workout carbs and high-quality protein. Glutamine can improve the effects of extreme training on the immune system as well as provide excess glutamine that would otherwise not be available to prevent catabolism and recover muscle. Glutamine supplementation could prevent the loss of lean body mass that results from over-training, and promote gains in lean body mass in strength power athletes. For endurance athletes supplementing with glutamine, the risk of immune suppression is reduced and it can keep these athletes performing and feeling their best by decreasing the incidence of illness. If you’re an endurance athlete or contest competitor, you may want to add glutamine to your post-workout supplement schedule. 1. Gleeson M (2008) Dosing and efficacy of glutamine supplementation in human exercise and sport training. JNutr. 2008 Oct;138(10):2045S-2049S. 2. Candow DG, Chilibeck PD, Burke DG, Davison KS, Smith-Palmer T (2001) Effect of glutamine supplementation combined with resistance training in young adults. Eur J Appl Physiol. 2001 Dec;86(2):142-9. 3. Agostini F, Biolo G (2010) Effect of physical activity on glutamine metabolism. Curr Opin Clin Nutr Metab Care. 2010 Jan;13(1):58-64. 4. Cruzat VF, Rogero MM, Tirapegui J (2010) Effects of supplementation with free glutamine and the dipeptide alanyl-glutamine on parameters of muscle damage and inflammation in rats submitted to prolonged exercise. Cell Biochem Funct. 2010 Jan;28(1):24-30. 6. Castell LM, Newsholme EA (1998) Glutamine and the effects of exhaustive exercise upon the immune response. Can J Physiol Pharmacol. 1998 May;76(5):524-32. 7. Garlick PJ. Assessment of the safety of glutamine and other amino acids.J Nutr. 2001 Sep;131(9 Suppl):2556S-61S. 10. Heath, GW, Ford ES, Craven TE, Macera CA, Jackson KL, Pate RE. Exercise and the incidence of upper respiratory tract infection. Med Sci Spo Exerc. 27:741-747, 1991. 11.Castell LM and Newsholme EA. The effects of oral glutamine supplementation on athletes after prolonged, exhaustive exercise. Nutrition 1997; 13: 738-742. 12. Antonio, J., and Street, C. (1999). Glutamine: A potentially useful supplement for athletes. Can J Appl Physiol. 24(1): 1-14.